The AFM upgrade option allows the user to equip their Confocal Raman Microscope with Atomic Force Microscopy capabilities for structural and topographic surface imaging on the nanometer scale. Switching between AFM and Raman mode is achieved by just rotating the microscope turret without physically moving or transferring the sample. Topography data can then be easily linked to the chemical information of the same sample area for a more comprehensive sample analysis. 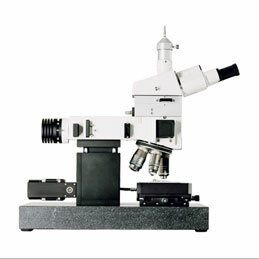 The AFM Upgrade option includes all features of the WITec alpha300 A Atomic Force Microscope. As the modular concept is also reflected in the WITec software tools, the AFM and Raman Imaging features are accessible by using a single software environment (WITec Control and WITec Project).